CHICAGO -- One of two bank robbers who escaped a high-rise federal jail Tuesday by scaling down some 20 stories on a rope made from bed sheets has been arrested after an FBI manhunt, the agency said early Friday. FBI spokeswoman Joan Hyde said Joseph "Jose" Banks was captured without incident in Chicago. Agents from the Chicago FBI's Violent Crimes Task Force, along with officers from the Chicago Police Department, arrested Banks about 11:30 p.m. Thursday, Hyde said in a news release. The search continued for Kenneth Conley, who fled the jail with Banks. Banks, 37, and Conley, 38, somehow broke a large hole into the bottom of a 6-inch-wide window of the Metropolitan Correctional Center, dropped out their makeshift rope and climbed down about 20 floors to the ground. During trial, he had to be restrained because he threatened to walk out of the courtroom. He acted as his own attorney and verbally sparred with the prosecutor, at times arguing that U.S. law didn't apply to him because he was a sovereign citizen of a group that was above state and federal law. 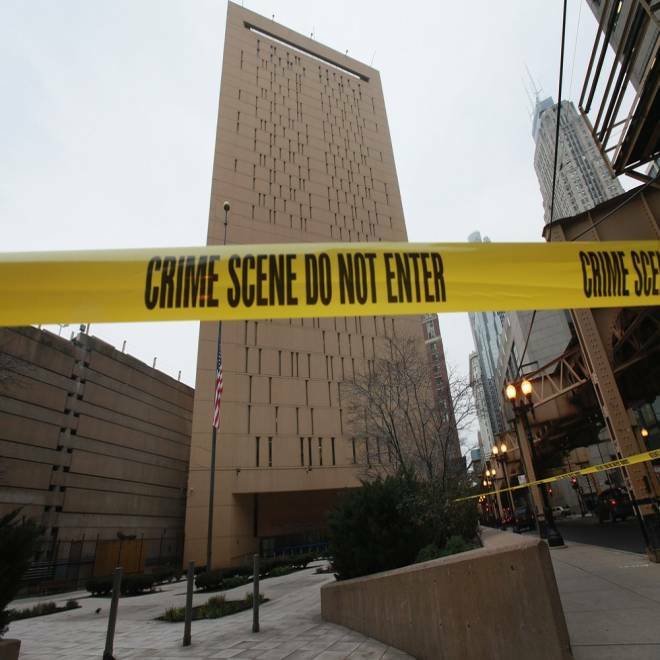 The Metropolitan Correctional Center, located in Chicago's Loop, has been the site of escape attempts before. The brother of "Dark Knight" director Christopher Nolan pleaded guilty in 2010 for trying to escape the jail using a rope made of bed sheets. Matthew Nolan planned to rappel down the side of the building using a 31-foot rope of bed sheets that he had hidden in a mattress, NBCChicago.com reported, adding that in 1985, two men escaped by shimmying down a 75-foot extension cord they threw out the window. Escape carries a maximum penalty of five years in prison and a $250,000 fine, authorities said.